New blogs are being created daily, it seems as if everyone has one, including teenagers. 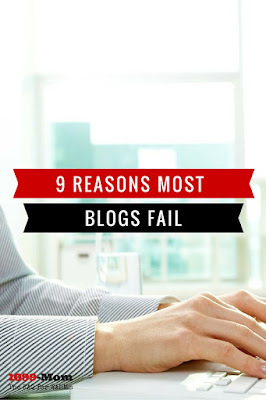 So why are some blogs able to thrive and other blogs fade out with the wind? 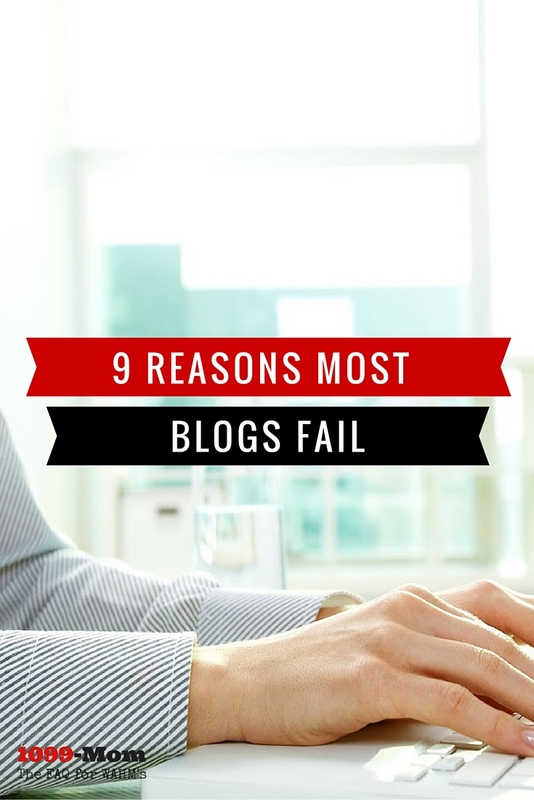 It’s simple – here are 9 reasons your blog is failing. One of the biggest mistakes in blogging is jumping right in with two feet, without any plans or goals in mind. What are you wanting to accomplish with this blog? What is your target audience? While it would be amazing to be able to have millions of people visit your blog, the reality is the topic you choose will only appeal to a select group of people. In order to have a successful blog, you must first define your target audience, set your short term and long term goals and create a business plan to get there. Dedicate all you can to making this blog succeed before you take on any other large projects, like another blog. If you are looking to earn money off of your blog, then you need to treat it as you would a job and not a hobby. That might mean you pull some long hours in the beginning, but hard work brings great rewards. If you’re lacking passion you will quickly tire of your new-found job. In order to provide engaging, relevant articles and information to your audience on a regular basis, it is something you will need to be passionate about. If not, you’ll easily find excuses to do something else than put time and effort into your blog. 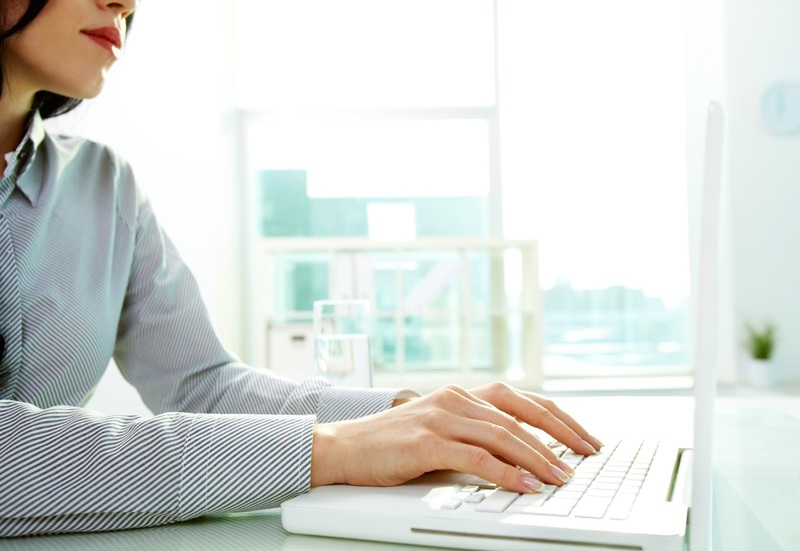 It’s no secret that blogging can bring in a good income, that is why so many are surfacing. However, making money shouldn’t be your only focus. Your readers will quickly pick up on your money-making intentions and you’ll drive them away. Focus on delivering valuable content to your audience that will make a lasting impact in their lives, one way or another. You will establish yourself as an authority and will be respected within your niche and the rest will all fall in place. Your visitors come to your site for the information you provide. If your site is full of ads in every inch of real estate, you will turn your readers off. Focus on just a couple of ads in your sidebar and in the rest of the space include links and graphics leading to additional content on your site. If your content is difficult to find and your posts are hard on the eyes, readers will look elsewhere to find what they’re after. Make sure that you use relevant categories and tags to make your content easy to find. When creating your posts, use bullet points and bold text to highlight important points and break up the monotony. No one likes a copycat. In order to be a successful blogger, you have to be able to constantly deliver fresh ideas and content to your audience and be able to come up with new and exciting products or ideas to drive traffic to your site. The “norm” doesn’t work for everyone all the time. Be a leader! It can be easy to lose your voice in the big internet sea. Your voice is what initially drove readers to your site and that is what they crave. They want to know that there is a real person just like them behind the words. Your blog is your little corner on the web, make it unique to you. Let your personality shine in everything you do! Your readers are looking to connect with you and other like-minded people. If you aren’t offering any reason for them to return, plain and simple – they won’t. Give them a reason to keep coming back. Leave teasers at the end of your posts eluding to new series you are writing or products you’re working on. Also, show your social proof. Let them know how many followers you have on the various social media channels so they know that you are a trusted authority. Emails are an easy (and cheap!) way to get your brand and message out in front of your audience. Offer an incentive for them to sign up to receive your email newsletter. This will give them something in return for their email address, and in your newsletter you will be able to lead them back to relevant content on your site. Have you started a blog? Which of these issue areas do you identify with?